Our next zodiac sign is Taurus: birthdays between April 20 – May 20. Taurus is an earth sign with the following strengths: reliable, patient, practical, devoted, responsible and stable. Many of these are strengths that businesses are looking for in a marketing agency, or any partnership for that matter. 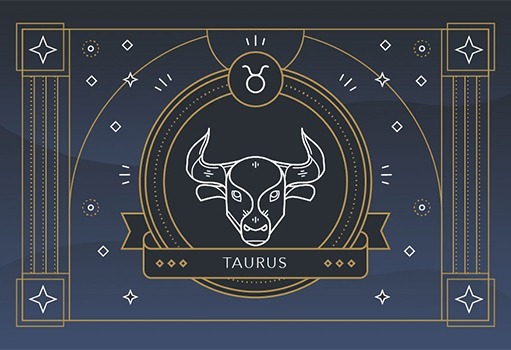 We’ll also take a look at Taurus’ weaknesses: stubborn, possessive and uncompromising. Some of these are no-no’s in marketing, yet some may be useful in small quantities. Let’s face it, being reliable is a must in ANY business. What does reliability in marketing look like? Meeting deadlines and staying within budget. If you foresee an over-budget project or missing a deadline, reliability is communicating that in a timely manner. Being available when a client needs you gives them the ability to rely on you. We sometimes say that there’s no such thing as a “marketing emergency,” but when a client’s website goes down, reliability is being there to help them get it back up and running, as quickly as possible, with no qualms. This also goes for a new launch. If a client has an aggressive deadline, reliability will reach that deadline—every time. From personal relationships to business, patience can be useful in many aspects of life.. It’s especially useful in the marketing world, where campaigns are often more about visibility and recognition and can take weeks or even months to yield results. In the case of a website SEO campaign or a digital advertising campaign, patience is needed to analyze. The more data you have to analyze, the better you will be able to project, extrapolate and adjust your ads accordingly. Consider websites themselves and the large amount of time you need to invest in them, especially if your content is extensive. Patience will pay off with large websites, because you want to make sure to spend the time needed to stay organized. If you fail to do this, the project can become a disaster! First and foremost, marketers have a responsibility to our clients. We have a responsibility to ensure that we remain true to their brand when executing campaigns. We have a responsibility to deliver our projects on time and within budget. But we also have a great responsibility, as any business does, to the planet and to do what we can to work in a way that is respectful to our resources. We do simple things, like work from home when we can, or cancel all those magazine subscriptions that often go unread. We don’t print emails when we don’t need to and we use digital notebooks as often as possible (sometimes you just have to write on paper, but we do so consciously!). We turn off our monitors, computers and lights when we leave the office. Now, there are times when you need to stand your ground and defend a great idea. And then there are times when you just have to let go! All of us marketers think that we know what’s best for the client (and frankly, we often do), but if they just can’t live with something that you think is great, you have to let go. If you don’t, the client may end up unhappy, unable to get that one little detail off their mind or the timeline may be extended and you’ll miss your deadline. Either way, use your business brain over your creative brain and be professional when you surrender. As marketers, we work with a variety of businesses, so we encounter many business situations – soft skills like those described above are necessary. We are constantly developing these skills so that we can better serve our clients in this creative, strategic space. Get in touch with us if you need our expertise in design or branding! Some things never change, even in the fluid online world. One thing that we have always thought important, and will always believe in, is the e-newsletter. A few years ago we wrote the below article – “Build Top of Mind Awareness With an E-Newsletter,” and we still think the information in this article is useful – probably more than ever. In a market driven by meaningful content, producing an e-newsletter with solid articles that help your customers and prospects is one of the best ways to build the relationships that will foster trust in your brand. There is no question – content is king, and if you position yourself as an expert by creating good content, you will win the trust of clients and prospects. There are some kinds of businesses that are a part of their customers’ weekly, if not daily routine—grocery stores, drycleaners, and gas stations to name a few. Other companies, such as clothing and hardware stores or even restaurants, also typically attract mostly repeat business. As long as these operations offer competitive prices, good service, and are conveniently located (with no new arrival in the market appearing significantly better on any of those points), customer loyalty should remain fairly strong. But how can businesses instill loyalty when clients may need their services on an annual basis at best, or perhaps only a few times during an entire lifetime? This is the common situation for many professional service providers such as attorneys, CPAs, medical specialists, IT solution providers, or architects to name a few. An e-newsletter may be an economical and effective way to maintain top-of-mind awareness with prospective clients during those long stretches between having a need for the provider’s services. Simple name recognition is good way to initially differentiate your business from others in your market. But more importantly, an e-newsletter emphasizes the expertise that’s available from professionals at your company. The greatest challenge associated with producing any e-newsletter – one distributed via email – is getting an audience to read it. And even when a recipient originally made a conscious decision to request the newsletter, it’s not unusual for that person to soon find himself deleting the communication unread, marking it as spam, or taking the final step of asking to removed from the subscription list. Here are few dos and don’ts that will help maintain reader interest in an e-newsletter from a professional service organization. Do offer news the reader can use. For instance, attorneys might offer tips as to what to do when starting a business and accountants could point out frequently overlooked tax deductions. Make the articles memorable, pithy and to the point. Don’t make the publication just another advertisement. In fact, it will enhance the credibility of your e-newsletter if you don’t overtly “sell” anything at all. While articles can address issues that readers may be facing as well as the available solutions, avoid talking about your own company’s specific offerings. Consumers are savvy. If they read about a problem in your newsletter, they’ll assume you have a product or service to meet their needs. Do make it plain that you’re local. People are more open to information that comes from a “neighbor.” Work references to area landmarks or events into the various articles. As silly as it may seem, people enjoying saying to themselves, “I know where that is.” Referring to local places and events will make your business seem less abstract to potential customers. Don’t pontificate. A “message” from the company president or CEO is generally bad enough as a reader turn-off, but it may be forgivable if that message offers the “news you can use” component mentioned earlier. Observations about the state of the union, environmental policy, what’s wrong with kids today, or any other topic outside of the author’s professional expertise however, is a definite no-no. Do keep it brief. While you may have articles that link to your Web site for more additional (non sales) information, the amount of content visible at first glance, should not take up much more room than one screen length. The format should also make it easy for the reader to scan for topics of interest, and quickly glean the facts. Don’t overload your readers. Make sure the people to whom you send your newsletter have a reasonable chance of being interested in the information you’re providing. And your total number of broadcast communications (the e-newsletter plus any other announcements, alerts, sales promotions, etc.) should appear in their inboxes no more frequently than twice a month. Once a month or once every three months is probably often enough for your newsletter to make an impact without becoming an unread annoyance. Do encourage reader interactivity. Solicit and make it easy for your audience to provide feedback about your newsletter. Not only is this good PR but their ideas could very well have great merit and can enhance your publication. Also make it easy for audience members to introduce people they know to your newsletter. And finally, make it easy for readers to unsubscribe if they wish to do so. Do create a series of articles for your newsletter either with a fun or business theme. For example, this year we are running a series of articles with tips for best practices in SEO, and last year we ran a series with the overarching theme relating Wonder Woman (our President’s favorite comic character) to marketing. We’ve seen great enthusiasm for the fun themes so we decided to keep it going with a Zodiac Marketing series this year. We expect that people will enjoy this series as well! As far as the SEO tips series they contain actionable items that any business person or marketing executive can apply to their routine. Properly executed and written with your audience’s interests in mind, an e-newsletter can help keep your business in the minds of potential customers for that specific moment when they may need your services. Pinstripe can help create a template as well as content for your e-newsletter – get in touch if you need help with launching yours. Our next zodiac sign is Aries: birthdays between March 21 – April 19. Aries is a fire sign with the following strengths: courage, determination, confidence, enthusiasm, optimism, honesty and passion. As with Pisces, there are plenty of Aries traits that apply directly to marketing. We’ll also take a look at Aries’ weaknesses: impatience, moodiness, short temperament, impulsive and aggressive. Some of these are definite no-no’s in marketing and bad for business as a whole. Some of the best advertisements and marketing campaigns are incredibly bold and, quite frankly, take a lot of courage to execute. Enter an agency brainstorming session and you may hear some off the wall ideas being tossed around. Sometimes it’s the gutsiest, most implausible idea that ends up being the winner! As a creative, you have to be willing to push the envelope and try something new to stand out from the crowd. Confidence is essential in any profession, but in marketing—this ever-changing industry with state-of-the-art technologies, popular culture, and creative trends—you have to exercise extra confidence in your campaigns and business choices in general. One of the best ways to maintain confidence in the marketing world is to educate yourself. Staying on top of creative and technology trends, or knowing about them, is a step in the right direction. Finding a great application or software that you tested and decided to fully integrate into your workflow is even better. You can use and test technologies to be able to recommend these beneficial products to your audience, your clients, and your colleagues. This positions you as a cutting-edge industry leader. At the same time, having confidence in the creative aspect of your work is essential. When a business is considering hiring a marketing agency or when you are pitching a new idea for a campaign to your vice president, you want to have confidence in your idea and your ability to execute that idea. If you don’t, there are a dozen others who know their design ability is incredible and worthy. If you want someone to have enough confidence in your work to hire you, you first must demonstrate confidence. It’s difficult to market a product that you don’t feel connected to at least in some way. Enthusiasm for what you’re selling, whether it’s advertising or marketing, gives an authenticity to the work you do—without it, your copy may feel forced, the creative may wilt, and your interaction with the client or audience will feel fake. And, if you can be passionate about what you’re marketing, even better—you’re sure to create amazing campaigns that excite your audience. As the first sign of the zodiac, Aries often have a tendency to be impulsive and rush out to be first. However, great design doesn’t happen overnight and neither does great copywriting, or really, any element of marketing. Of course, there’s the occasional fluke where you get that winning idea in the shower, but don’t bank on those ideas. A good example is website design and development, which can be an incredibly heavy workload, even when you stay organized and precise. Patience is key during a process of this magnitude, and not just for the creators. You have to learn how to manage the expectations of your stakeholders, so they fully understand the amount of time you need to do your best work for them. It’s ok to compress a timeline here and there, but be realistic about your deadlines and don’t let an impatient person rush you. Rushing a set of design mockups into development is not going to produce great work, and you may end up revisiting the rushed piece and spending more time and money in the long run anyway. This one applies to nearly every aspect of life, but it’s especially true in the marketing world where you may be dealing with tight deadlines, budgets, and stakeholders. We know that being moody in business is taboo. Sometimes personality matches between teammates, employees, clients and vendors are as important as the work itself. Moodiness also hampers productivity and morale. So, if you or your colleagues have a stressful project load with tight deadlines and budgets, having a moody co-worker adds more unnecessary stress. Check your emotional status and leave the mood swings at home. We hope that you can take some of the above recommendations and apply them to your business or marketing plan. Stay tuned for the next zodiac sign, headstrong Taurus! You’ve seen the meme. A young couple is walking down the sidewalk and he spins around to take a look at another girl walking by. The meme is funny because … well there is truth in the attraction to something new. The grass appearing to be greener on the other side of the fence. Of course, most of the people reading this article would never behave so atrociously. We would never fail to appreciate the wonderful person we’re already with. Or would we? How much attention do you devote to your existing customers versus prospects? It’s very easy to become so focused on new business development that we ignore the great catch right in front of us. No one likes to feel unappreciated, but rather than sending you a meme (You. Me. New Business. ), that customer will more likely decide to finally take that sales call from one of your competitors. And where does that leave you but frantically “wining and dining” a new prospect to bring a new business relationship to the level of the one you just lost. Now you could assess your marketing budget and say one in five dollars needs to be devoted to existing clients, but it may be just as effective to look at the issue from the standpoint of hours rather than hard currency. Devotion doesn’t have to be measured in cash. “How was your day?” Find out what’s new with your customers’ businesses, what changes they’re experiencing, and what trends they see. You may find an opportunity where you can help (or know someone who can – see below). “Let’s go out on the town.” For those of us in sales, we spend a lot of time at networking events. Ask your clients to join you and introduce them to the people you know. Networking isn’t always about what you can get, it’s also what you can give. Give the gift of new connections, and your clients will never forget it. “This made me think of you.” Books, magazine articles, blogs or videos … there are likely dozens of things you read on a weekly basis that could be of interest to your clients. Pass them along. “Have I told you lately …” We purchase a lot of goods and services in our daily lives — for work and for business. When was the last time you were thanked? A sincere ‘thank you’ or a handwritten note goes a long way. As long as you are in business to make money it would be ridiculous to “stay true” to just one customer. Unfortunately, what’s expected is even tougher. You need to remain true to all of them. Love the one you’re with. The marketing firm you choose will be in charge of your brand, so you need to make good decisions on who you hire. When it’s time to hire a marketing firm, you have a lot of choices to pick from. There are more than 500 advertising agencies, public relations and digital marketing firms in the Tampa Bay area. Many of them are highly specialized, while others can offer a large suite of marketing services. It’s important to be prepared before handing the reigns over to a firm in charge of promoting your brand. Going into a relationship with a marketing firm takes some homework on your part. A little business self-awareness goes a long way in understanding the type of relationship you’ll need with the firm. Are your clients local or online? Is there a budget in place to handle all marketing costs? Have you set goals for your marketing? If you don’t have an answer to those questions, work with your team to determine the answers before hiring a marketing firm. With all of the choices available locally, it’s rare to go out-of-state to hire a firm. The goal is to hire a firm that fits your needs exactly. There are local firms in the Tampa Bay area that carry a national presence and national companies with a local presence. The choice really is more about what you prefer when hiring a service. Do you prefer meeting face-to-face? Or can your marketing be handled through video conferencing, email and phone calls? Both are effective ways to communicate and build very successful relationships. In our experience, having a good mix of each one leads to stronger relationships. When considering to hire a marketing firm, the following 10 things to consider should be used as a checklist. Portfolio – The firm should impress you with their design and implementation. Experience – A lack of experience could cost you money. Industry Knowledge – Having a firm with industry knowledge reduces the learning curve for them regarding your business. Something to also consider is if their industry knowledge works against their ability to be creative or think outside the box. Capabilities – Smaller firms offer more personalized service, yet may be limited in capabilities, but this is not always the case. Be sure to do your research and ask the right questions. Business Savvy – A firm with solid business acumen will understand the big picture and not just work from project to project. They are more adept with problem solving, too. Channel Expertise – Strong marketing firms understand the channel directions for most industries. This makes them better marketers. They are better at forecasting and seeing the next big thing on the horizon. Technical Knowledge – Marketing is technology heavy. Both print and digital marketing are driven by advanced technologies. The firm you pick should know how to harness these technologies for successful campaigns. Network – How extensive is their business network? These connections can be valuable assets. Communication – Everyone is looking for fast and friendly. How about clear and concise? Honest and thoughtful? Those are special qualities, as well. Personality – It’s a business relationship. Your personalities should mesh well together. What makes them unique is something that can differentiate your company from others. Make sure each one fulfills your criteria. If no one fits it, then look at what’s really important and how many do fulfill those needs. At Pinstripe, we have experience with companies across the United States—from entrepreneurs to the Fortune 500. We are passionate about creating tailored campaigns that generate results. Our team has decades of experience within a wide range of industries. Contact us today to learn more about how we can provide the best marketing experience for you.